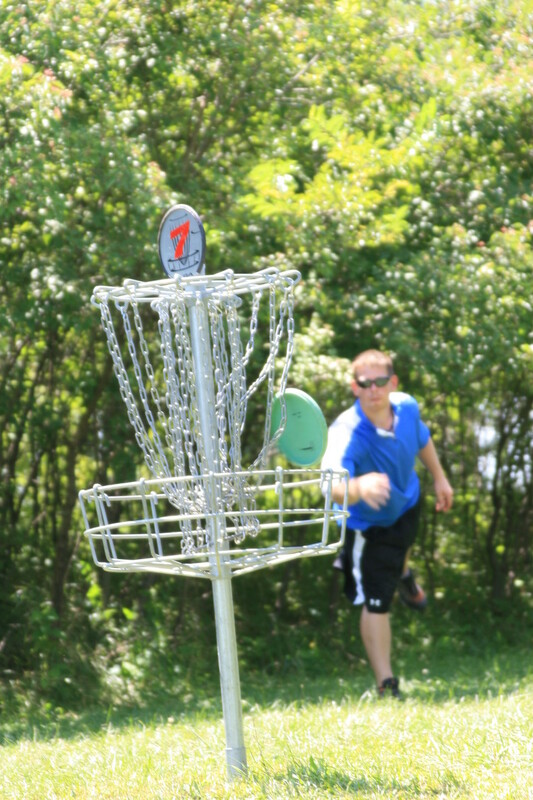 Disc golf, a 40-year-old game, is spiraling high in popularity in Johnson County. This sport is played by all ages, in backyards or on courses, in all sorts of weather. 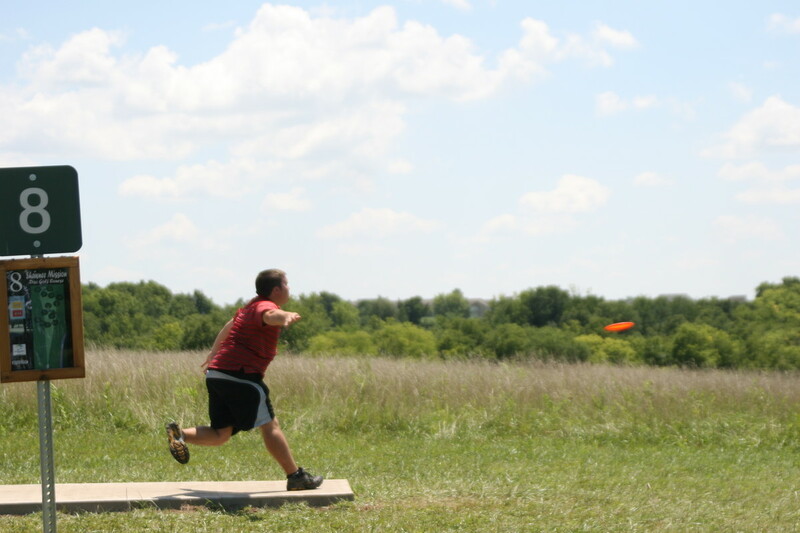 “We have people throwing discs in sun, snow, sleet, rain, you name it,” says Bill Maasen, superintendent of parks and golf courses for the Johnson County Park and Recreation District. The origin of the modern game of golf, the one associated with balls, clubs, tees and greens, is usually traced to 15th century Scotland. Golf has grown into a multi-billion dollar industry, played in more than 100 countries. It took about 600 years for a spin-off to develop. 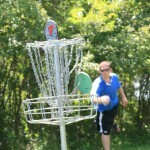 Disc golf flew onto the American scene after toy company Wham-O began manufacturing aerodynamic discs called Frisbees ®. By 1977 Wham-O had sold more than 100 million Frisbees®, and people everywhere were tossing these discs high and low. 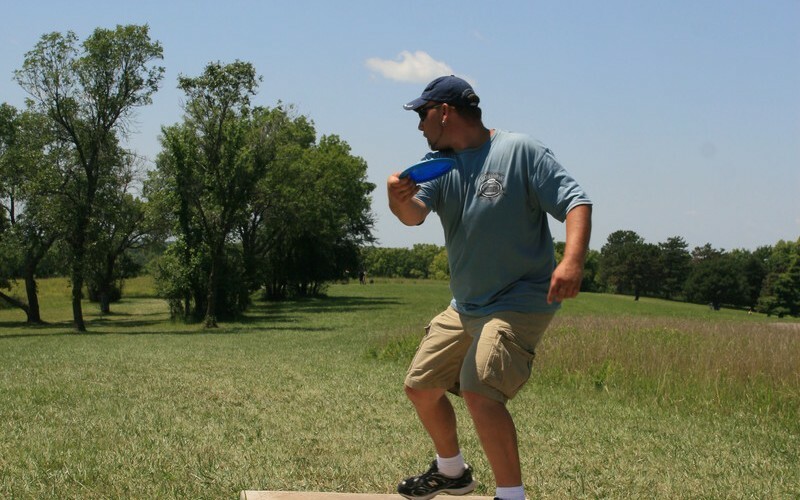 In the 1970s, Wham-O designer Ed Headrick invented Frisbee® Golf, where people tossed Frisbees® into metal baskets. 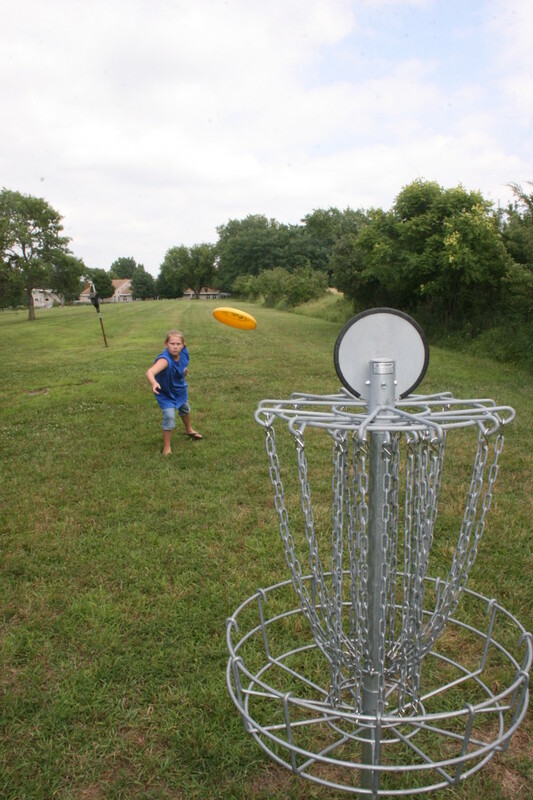 Today the game is known as disc golf and the Disc Golf Association estimates that there are more than 3,000 formal courses in the United States. 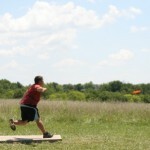 The aim is to traverse the course in the fewest number of throws. The discs, called putters, mid-range and drivers, each have different edges to cut through the air with varying accuracy and control to hit the basket, hole or target. 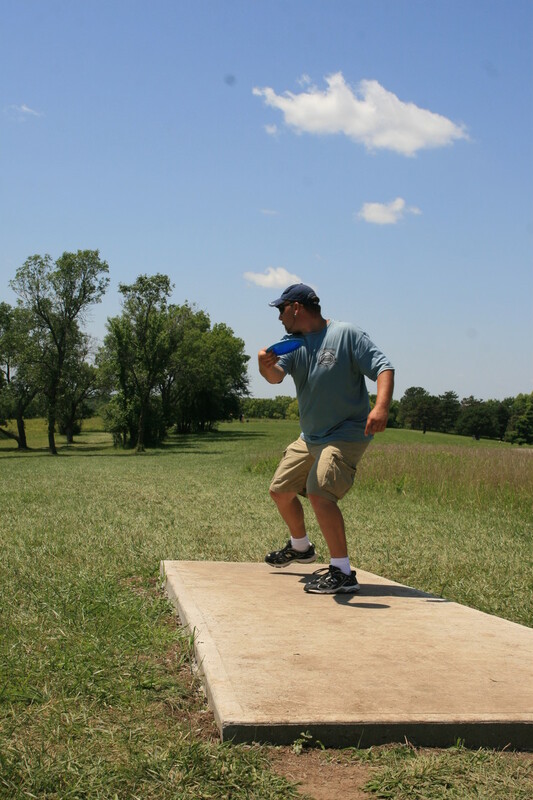 Maasen is referring to the members of the Kansas City Flying Disc Club (KCFDC), a metro-wide organization, which organizes leagues, games and events for enthusiasts. The group posts league results, course information and updates. In June, the KCFDC and Kansas City hosted the 33rd Annual Kansas City Wide Open Event. In January, local players competed in the annual Kansas City Ice Bowl, a fundraiser to fight hunger. Whether it is an official game or fun day at the park, club members are passionate about their sport. They help maintain courses by picking up trash, trimming trees and spreading mulch. “Die-hard fans like my husband Matt and I will shovel snow off tee pads in the winter so others can play,” says Crispian Paul, Secretary to the KCFDC Board of Directors. This fall, Johnson County will open a course in Heritage Park at 167th and Lackman Road. In the next couple of years, the master plan calls for a new course west of DeSoto. Want to get in the game? 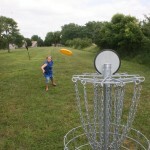 Purchase a basket and discs from a sporting goods store or online, and take aim in your own backyard. 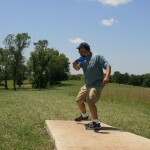 Or grab a few discs and head to one of our local parks. For more information, visit DGCourseReview.com.